Bought my first pair of Patrick (SD) 5142. I work on a Tug Boat and usually wear running shoes on the boat when travelling between jobs.I work 1 week on 1 week off and tonight I am going to work and will be wearing my Patrick (SD) 5142 shoes,I have silicone sprayed (waterproofed)them to try and keep the salt water from ruining them.I wore them for a week before trying them for work(tonight) and found them comfortable and stylish enough that I am going to buy a second pair for when I’m off of work. Hi Bill. Great story. We often say that Mellow Walk can be worn anywhere and you have proven that point. Good questions. Based on your needs I would recommend our Patrick 5142. It’s a great light safety shoe and available from most safety retail stores. Great shoes! I am on my 2nd pair of Patrick’s as I wear out the elastic and they get far too loose after a year. Aside from that, highly recommend. Hi Matthew, thanks for the great review and thanks for continuing to select Mellow Walk. Thanks for your feedback. When it comes to fit and comfort what works for one person doesn’t always work for another. 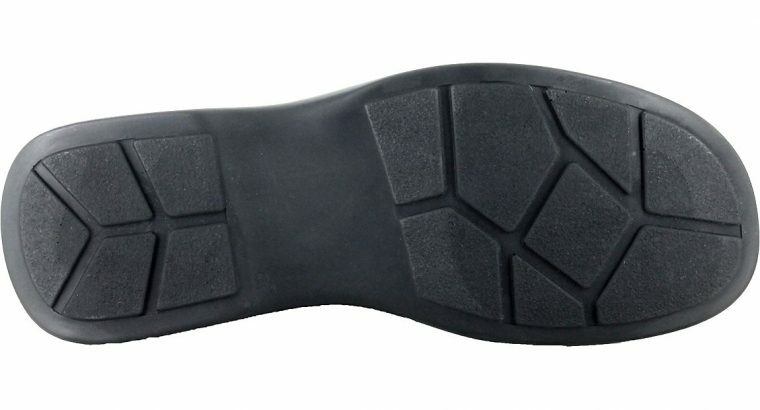 Many of our safety shoes do have removable insoles, however that particular model was designed with the glued insole to enhance the Static Dissipative properties of the shoe. Again, sorry it didn’t work for you and we appreciate your comments. I would recommend that you order directly online with Marks. Thanks. I have been a big fan of this shoe, and wore a single pair for almost 10 years as dress shoes and as a lab instructor for a paramedic program. The only part of the shoe I have found to wear out is the elastic sides. My feet slip out of the shoe a little too easily now. When I went to try on a new pair at Mark’s, the elastic wasn’t as tight as I was hoping a new pair to be, and I’m hesitant to get another pair because of that. Has the 538202 aka “Patrick 2.0” addressed that issue? It looks like there is less elastic on that shoe, possibly making it a little tighter? What are the other differences? Thanks for your time Admin! P.S. 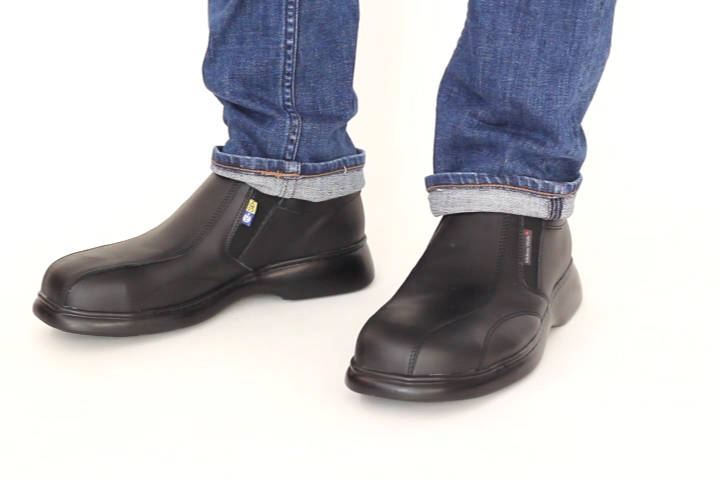 Also, I have found that they are not great as an ‘anti-slip’ shoe on wet smooth concrete. Amazing. 10 years from a single pair of Patrick 5142. That is fantastic. It is my belief that the elastic gore has been sourced from the same supplier over the years so has not changed. With that said the elastic in time can stretch.The new Patrick2.0 538202 model uses the same elastic found in 5142 however the new design should prevent it from stretching out over time. Key differences in the models include a new toe shape, removable insole for comfort and a new dual density PU/Rubber outsole. The rubber will definitely be an improvement on wet concrete. Feel free to email our customer service to find where the new model is available in your area: feedback@mellowwalk.com. Thanks for writing. The only difference is colour. 5142 is black leather and 5141 is brown leather. 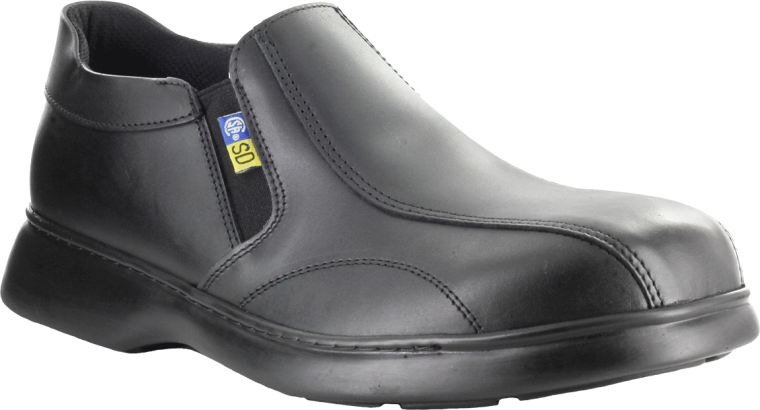 5142 is a classic Mellow Walk safety shoe. Very comfortable, not to heavy and looks good on the foot. Thanks. Hi, I have the Patrick 5142, it says the footbed is removable? does that mean I can remove and put my custom orthodics in? if so, how do I go about doing that? Thanks for your question. The half sock is kept in place with a bit of shoemakers glue. Many orthotic makers will remove it with a pair of pliers if you have custom orthotics that need inserting. I’ve updated the description on the website to reflect this.